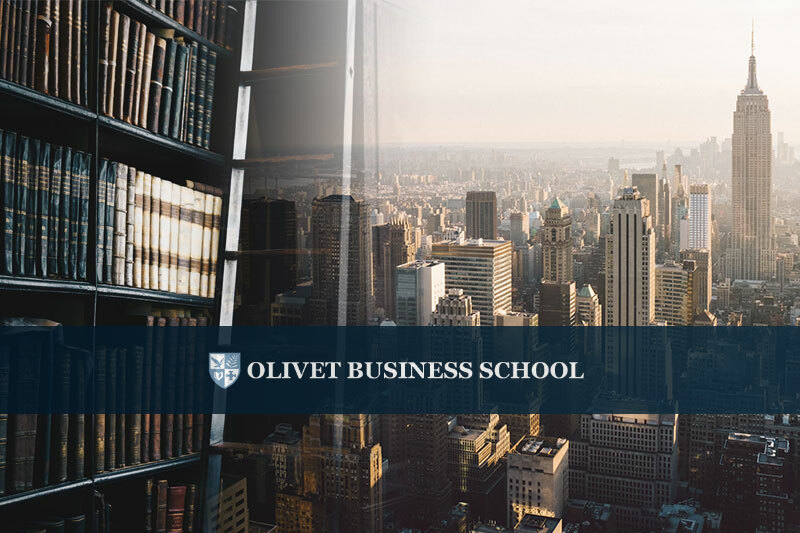 Olivet Business School (OBS) commenced its Business Law class last week at the Olivet University (OU) Manhattan campus. The very first lesson covered the law of contracts. Program Director Dr. Hosea Zhang explained different principles and rules in the law of contracts and analyzed different fact patterns and case laws. "We dived deep into the laws of contracts and answered typical contracts questions such as 'Is there a valid offer?' 'Is there a valid acceptance?' 'Is there a valid consideration?' 'When does Statute of Frauds apply?' and 'What are the defenses to the formation of contracts?'" Dr. Zhang said. "We also analyzed fact patterns and discussed how the legal rules and principles may be applied in real-world situations." "The students enthusiastically participated in the classroom discussion. I hope that this class will help them become more aware of the laws and regulations that will influence their business and professional lives and be better equipped to protect their interests and succeed in life," Dr. Zhang added. In the following weeks, the class will examine Torts Law, Criminal law, Real Property Law, Secured Transactions, Law of Corporation, and Law of Partnership and Agency.